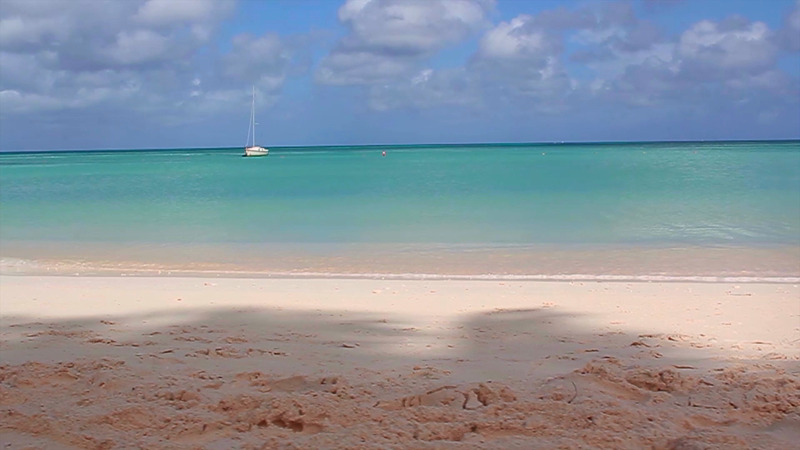 Step onto the white sand of the renowned 3km plus Palm Beach, home to Aruba's glamorous hotels. Palm Beach is dotted by palm trees, hotels, casinos, water sports concessions, piers, beach bars, restaurants and shops. Calm waters make this beach a comfortable haven for swimmers and snorkellers. A walk along the coast at dawn or sunset is perfect for exercise and quiet reflection during your Caribbean holiday. Taking in the magnificent tangerine sunset or enjoying candle-lit, barefoot dining on the beach in Aruba can be the perfect end to a lazy or exciting day of sun and sea. After sunset, the Palm Beach area just off the beach comes to life as buzzing clubs and casinos in Aruba offer an upbeat nightlife. Two of the largest shopping centres in Aruba cater to the needs of those on a shopping spree and also offer cinema theatres, water fountain shows, bowling and spa facilities.